Much has happened since the first Silk Road report that we released a month ago. In mid-July, a Silk Road user was arrested by Australian police for allegedly transporting unspecified narcotics into the country. The event attracted considerable attention within the Bitcoin community as it was the first “Silk Road-related” arrest ever to take place, and the Australian police eagerly took the opportunity to warn Australians that law enforcement is “well aware of this method of drug procurement” and that “persons who buy or sell through online marketplaces, on so-called ‘anonymous’ networks should understand that they are not guaranteed anonymity.” However, it is important to point out that neither the anonymity of Tor nor that of Bitcoin was compromised. Rather, all evidence points to the seller being caught through the international mail system. It is also well understood that island nations have an easier time controlling their borders, whether against illegal immigrants, drugs or guns, than most others, so on the whole the event is not particularly surprising. Soon after, Dread Pirate Roberts, the mastermind behind Silk Road, announced that Silk Road’s illegal gun-selling sister site The Armory would be closing. To justify the decision, Roberts wrote in a post on the Silk Road forums (original accessible only through Tor) that it simply was not popular enough to justify the expense; in his own words. “The volume hasn’t even been enough to cover server costs and is actually waning at this point. I had high hopes for it, but if we are going to serve an anonymous weapons market, I think it will require more careful thought and planning.” Unlike its larger cousin Silk Road, the Armory was never well received by the Bitcoin community or the media; many to whom the thought of legalizing all drugs is not even controversial, particularly those in Europe, find the prospect of psychopaths being able to anonymously buy guns much more worrying. The one major article covering it in the news came only weeks before the announcement, in the form of a piece on Gizmodo titled “The Secret Online Weapons Store That’ll Sell Anyone Anything“. The article did misrepresent the Armory to some extent, the largest offense being a claim that its cryptic garbled sixteen-character URL was part of a deliberate strategy of obfuscation (in reality, the Tor protocol offers no way, except perhaps extreme repeated trial and error, to choose one’s URL, as the generation process is a pseudorandom process somewhat similar to that used to generate Bitcoin addresses), but it did provide the Armory a last chance at acquiring a foothold in the illegal arms market. However, even that failed to reignite attention; at the time of this writing, the number of products available is less than sixty, and the Armory will soon be gone entirely. Weapons will not become allowed on Silk Road as a substitute. The Australian arrest may shed some light on why Silk Road, the anonymous illegal drug store, has been able to succeed and the Armory, the anonymous illegal gun store, has not. The major bottleneck of both is the postal system, and drugs are much easier to sneak through than guns are. The former usually comes in the form of small tablets or a powder which can be reliably placed in vacuum sealed bags, while the latter, even if disassembled into its constituent parts, is made up of large pieces, any of which can trip a metal detector. 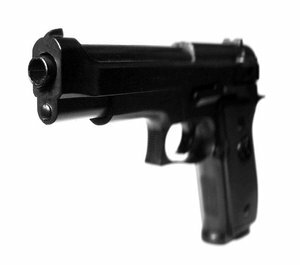 The requirement for the customer to assemble the weapon also hampers usability, and the requirement for the seller to disassemble and spend more time packaging it drives up costs, which are another major reason why many potential customers opted to continue purchasing their weapons through offline channels instead. Finally, a few days ago, Nicolas Cristin, a researcher at Carnegie Mellon University, released a detailed analysis of Silk Road in which he discovered considerable evidence that pointed to a, to some, exciting, and to others, frightening conclusion: that, unlike its arms-dealing sister site, the Silk Road is booming. According to Cristin’s paper, at the end of November 2011, Silk Road had 220 active sellers, increasing to 290 on March 1, but the number then started to quickly climb, leading to the site having over 550 active sellers at the end of July. In the previous Silk Road report it was mentioned that the majority of sellers were from the US, with a sizeable minority in the UK, a fact which Cristin’s paper corroborates: the most popular shipping origin, the USA, is the home of 43.86% of all sellers, followed by “undeclared” with 16.28% and the UK with 10.14%. Customer satisfaction on Silk Road is mostly positive, with a 97.8% positive feedback rate, although less than that on white market sites like Ebay, which boasts a positive feedback rate of 99%. But the most surprising figure of all is Silk Road’s sales volume. The volume was about 8,000 BTC daily in March, increasing to a peak of 15,000 BTC per day in May and then slowly falling to 10,500 BTC a day in July. But, as the paper points out, the fall was merely a nominal one, caused entirely by the rise in the Bitcoin price over the same period. In USD, the total sales volume in each of the past two months, June and July, exceeds $2 million. And, as Cristin points out, that does not even include the hidden listings. For comparison, BitPay processed $170,000 in May and hit a record of $250,000 in one day with Butterfly’s ASIC launch. BitInstant transferred $1.1 million in April, and MtGox had a trading volume of $18 million these last 30 days, although the latter figure is hardly comparable to the others because the vast majority of Bitcoin exchange trading volume is a result of arbitrage and speculation. Silk Road’s revenue compares even better: while BitPay’s commission of 0.99% brought in $1,700 and BitInstant’s 0-5%, at most $60,000, Silk Road’s average commission of 7.4% nets the site over $180,000 USD per month, exceeding even the $45,000 to $108,000 earned by MtGox. Given Silk Road’s low-profile stance in the Bitcoin community, these figures come as a shock. Far from being an easily ignorable sideshow, Silk Road is, in fact, a mainstay of the Bitcoin economy. Furthermore, Silk Road is not merely a particularly popular toy. Dividing Silk Road’s monthly volume of $2 million by its 550 active sellers gives an average revenue of $4500 per month, strongly suggesting that there are dozens of individuals earning a living largely or exclusively using the website. On the one hand, Bitcoin advocates can rejoice; there is now definitive proof that Bitcoin has found a stable and serious niche, one that is not merely a byproduct of novelty or community patriotism, and there are individuals beyond infrastructure providers like BitInstant and MtGox who are employed in the Bitcoin economy full time. But at the same time, as the law is beginning to turn its eyes toward Bitcoin with Brazil’s securities commission targeting a Bitcoin investment group and two legal actions being brought forward around the events of the Bitcoinica crisis, one cannot help but worry about the effect that this will have on Bitcoin’s public image in the months and years to come.